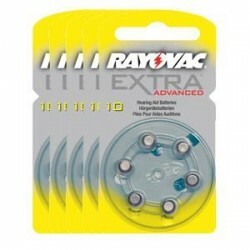 Rayovac is proud to offer world leading performance and the world’s No1 selling hearing aid batteries. But it doesn’t stop at the battery. We go that extra mile to meet the needs of our customers. 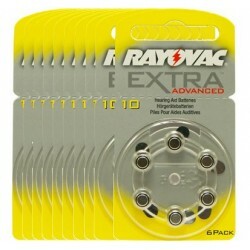 The Rayovac Extra programme adds value to your product mix linking technical expertise with marketing and business support. 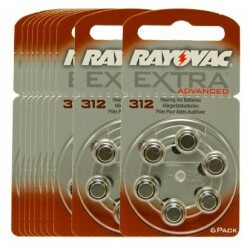 Vital tools to help you enhance customer loyalty. The competitive performance test procedure was established by ANSI and IEC. 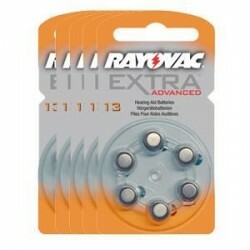 The results based on the this test regime prove that the new Rayovac® ProLine® ADVANCED hearing aid batteries are our longest lasting ever and the most consistent performing battery in the market. 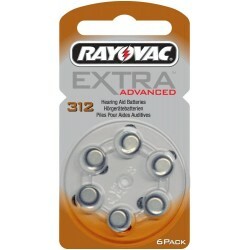 Through patented battery construction and components, the Rayovac® zinc air hearing aid batteries offer higher power while increasing life. 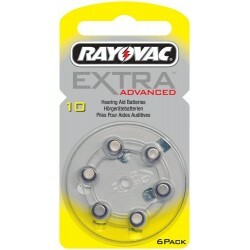 Rayovac hearing aid batteries incorporate our latest battery innovations to deliver world leading performance. 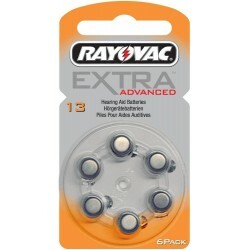 Rayovac's world-class manufacturing techniques, coupled with proprietary technology, zinc air has dramatically increased the mAh ratings on all key sizes of hearing aid batteries from our previous Rayovac® design. High drain hearing aid devices have greater air flow demand. 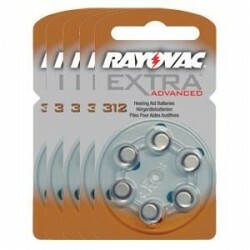 The addition of Rayovac's "Air Management System", which combines the air cathode, diffusion control element, and vent hole design, provides consistent air flow throughout battery life. This development allows the battery to access the precise amount of air needed, maximizing battery power, without compromising performance. 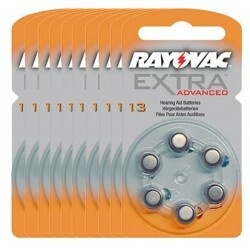 The end result is a more consistent, better performing hearing aid battery every time.